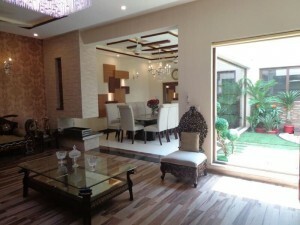 Wood flooring has become one of the most coveted amenities in modern home design in Pakistan. The natural feel and warmth underfoot, makes it exquisite and timeless. Unfortunately, original hardwood floors are rarely found in newer homes due to the lower price point. As a result, those who want the natural look of wood often end up using laminate wood flooring to win over visitors or homebuyers. No matter which wood flooring you may prefer, there are always advantages and disadvantages when it comes to hardwood versus laminate flooring. 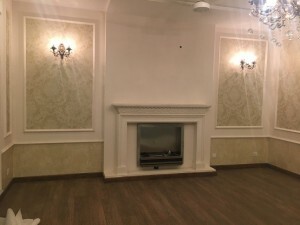 In this article, we at AmerAdnan Associates will aid you to determine which flooring best suits your budget, lifestyle and home. It is often observed that the reality of what homeowners can afford and flooring cost is miles apart. So don’t forget to take into account the cost of hardwood and laminate flooring to determine what you can actually afford.
. Hardwood Flooring Disadvantage – As they are carved out of harvested trees, therefore their prices are on the higher side. The pricing largely depends on how rare the trees are. In general, hardwood flooring is significantly expensive to buy and to install.
. Laminate Flooring Advantage – Laminate is made from composite wood that is compressed together at high temperatures. The composite wood then uses the image of hardwood to form the laminate. This makes laminate flooring material cheaper than hardwood flooring. Additionally, the installation of laminate flooring is about 50% less than hardwood installation. Before you choose hardwood or laminate flooring, make sure to assess the wear and tear and traffic load in your dwelling. It will help you choose a durable material that is hardwearing, easy to maintain and look great at the same time.
. Hardwood Flooring Disadvantage – Hardwood is vulnerable to scratching, excessive moisture and show wear if installed in heavy trafficked areas.
. Hardwood Flooring Advantage – It’s the real deal. Because using a beautiful hardwood flooring that is made out of a rare wood type adds value to your home.
. Laminate Flooring Advantage – Since it is made from compressed wood, so it’s more durable than hardwood flooring. Even when it comes to resisting scratches, moisture as well as wear and tear.
. Laminate Flooring Disadvantage – Even though it’s a durable choice, it isn’t visually as appealing as hardwood. In fact, lower qualities of laminate flooring usually have artificial look wood grain textures. Flooring is one of the component of your house that needs repairing at some point in time. 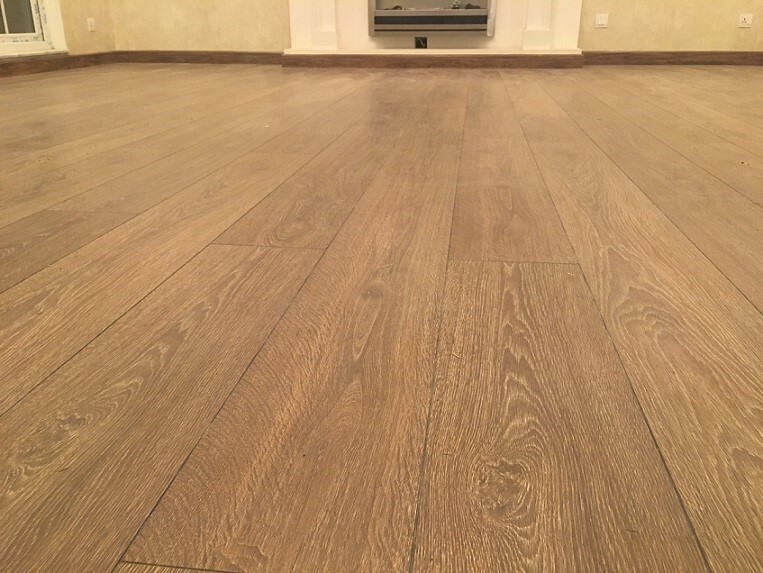 From minor scratches to excessive wear and tear, both laminate and hardwood flooring need some sort of maintenance.
. Hardwood Flooring Advantage – With sanding, refinishing and imperfections in hardwood can be fixed. Furthermore, hardwood can last for years which gives it a serious edge over laminate flooring.
. Laminate Flooring Disadvantage – Unlike hardwood, the laminate is not that easy to repair. The best option for you is to opt for a laminate flooring that comes in separate pieces and snaps together. This way, you shall be able to replace the broken or scratched boards separately. But, do keep in mind that the new piece may not match with your old boards as they may have lost their shine due to sunlight, heavy traffic flow, and age. No matter which flooring you may choose, your home will eventually benefit from the wood flooring. In case, you need professional assistance, AAA can greatly help you. 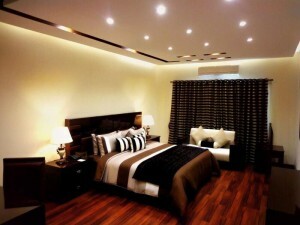 The leading interior designer in Lahore has installed nearly all types of flooring including hardwood and laminate. So the hands-on experience can come in real handy when are looking to improve the aesthetic appeal and value of your home.